Located in northern Tanzania between Mt. Meru & Mount Kilimanjaro Arusha offers a variety of day tours. As a Tanzania owned-and-operated company we are experts in Tanzanian culture and wildlife and we enjoy passing this experience on to our clients with a variety of day tours. 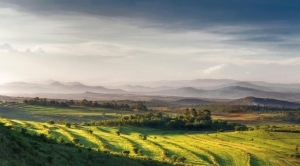 Choose from traditional cooking, shopping, horse back riding, safari walks and many more. Tour times differ depending on the tour you choose and can either be a full or half day tour. Horse back riding times are flexible however, the best time for riding in the bush is either 8:00 am or 2:30 pm, each ride lasts approximately 2 hours. Please call 1 (614) 563-3579 or email info@proudafricansafaris.com for specific information on our Arusha day tours. Learn how to farm with the local people of Arusha. Pick coffee beans then prepare and test the coffee you make for yourself. Learn how to cut bananas down from the trees, how to peel and cook them in the traditional way. You’ll have the opportunity to eat the food you’ve prepared with the local people and have fun while being entertained by local dancers from different cultures of Tanzania. This is a half day trip. During this half day cooking class tour your’ll be paired with local families in the village. This tour includes shopping at a local outdoor trade market where you’ll get all the ingredients needed to cook a traditional Tanzanian meal. You’ll cook your meal using time-honored methods. 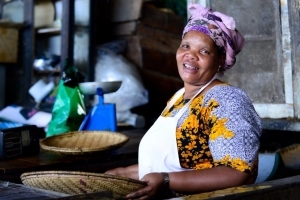 While touring the town you can 2stop and taste authentic African cuisine from a street vendor or local eating establishment, visit small shops, or just talk to the friendly local people of Arusha. 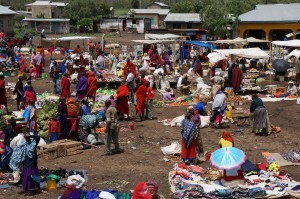 With a walk through the community market (Tengeru) you will gain a good perspective of how the people of Arusha live, what they eat, and also how they interact. Bargain and buy items like fabrics, spices, and many other things. Choose a half day or full day, lunch included. Horseback riding on Dolly Estate, whether you are a complete beginner or an advanced rider, there is an opportunity and experience for everyone. Those with little riding experience can enjoy a gentle hack along dusty tracks where wildebeest and antelopes graze contentedly. Led by experienced guides one can explore the meandering paths, spotting a rich array of wildlife along your way. Horseback riding times are flexible however, the best time for riding in the bush is either 8:00 am or 2:30 pm, each ride lasts approximately 2 hours. Biking does not get better than what is available in Tanzania. There are thousands of miles of single-track routes to explore. Most of these paths are nice and smooth and easy riding. Obviously there are more challenging routes for the adventurer. The mountain bike rides are designed to give you both a wildlife and cultural experience. Our custom-tailored luxury Tanzania safaris are organized to the smallest detail while providing exceptional service and attention from start to finish. Our commitment to creating and delivering unsurpassed personalized adventures is the foundation for your seamless safari experience. For more information on our Arusha National Park safaris and day tours please call (614) 563-3579 or email info@proudafricansafaris.com.